A countdown was recently posted on the official Hatsune Miku Symphony 2018-2019 website which ticked down to noon on June 4, revealing the release of pre-sale tickets for Tokyo and Osaka. The main visual was also unveiled, revealing the performer line-up. The tickets will come with the same designs as last year and will come with limited-edition merchandise and pamphlet with a special sheet. As well as that, new under-18 tickets are also available this year at ¥3,900. There’s also an accommodation plan available with limited-edition merchandise available on a first-come, first-served basis from July 2. 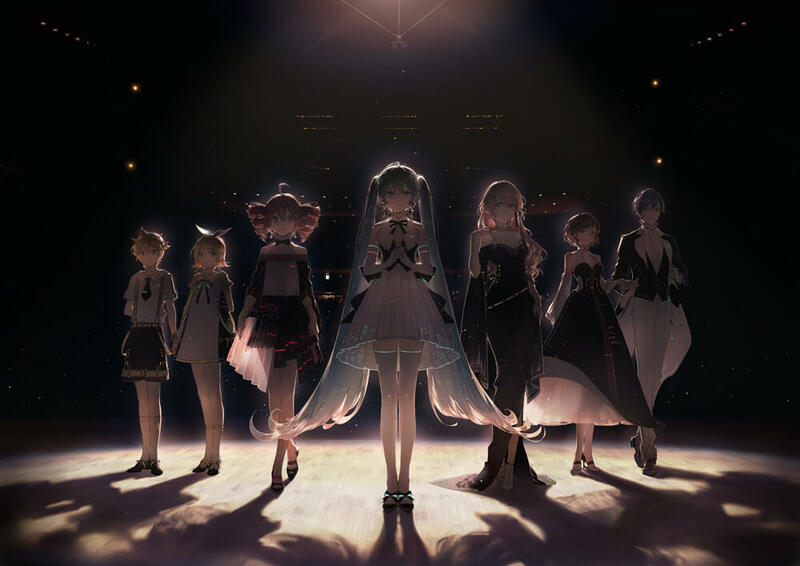 The main visual drawn by illustrator Rella reveals that Hatsune Miku isn’t alone. She will be joined by Kagamine Rin, Kagamine Len, KAITO, MEIKO, as well as Megurine Luka―who’s soon to celebrate her 10th anniversary―and Kasane Teto. Each member is donning original outfits. This is the first time these seven characters will perform together for this event. The official website has been updated and is now available in multiple languages. Head on over there and experience the symphonic world of Vocaloid. ・U-18 seat ticket window from June 18 @ 12:00 to June 25 @ 23:59. ・U-18 seat tickets for those born after April 2, 1999. ・A form of ID is required, e.g. student card, insurance card or something with proof of age. ・Reserved seating (applicable from A-Seats and beyond). ・Parents/guardians who wish to watch the show with someone under the age of 18 must purchase an U-18 Seat ticket for the person under 18 and an A-Seat ticket.